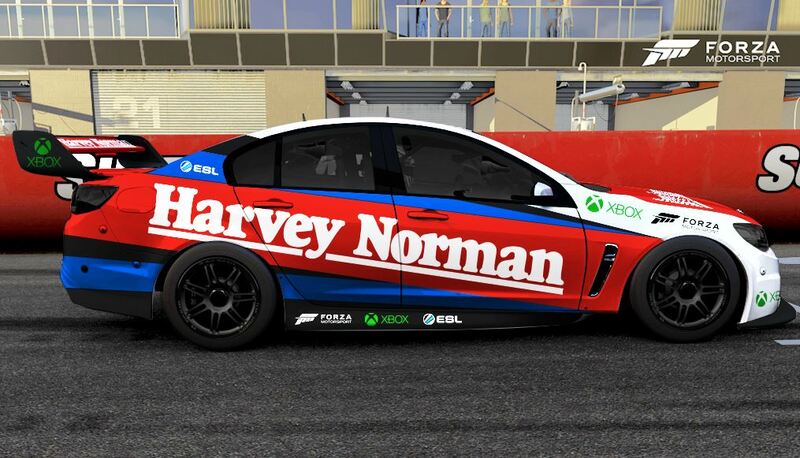 Eight of Australia’s top gamers will compete in Supercars' first official esports competition, the Harvey Norman Supercars Forza Challenge, at this year’s Supercheap Auto Bathurst 1000. The field for the live event has been set based on fastest lap times recorded around a virtual Mount Panorama on Xbox’s Forza Motorsport 6 during the recent qualification period. Jacob Harvey, hailing from the small town of Nagambie in regional Victoria, near the Virgin Australia Supercars Championship venue Winton, was the top qualifier with a lap time of 2.04.798s. Harvey, a long-time Supercars fan, is thrilled to be heading to Mount Panorama and going head-to-head with the other top qualifiers. “I’m really looking forward to it. Four of [the other qualifiers] I race against online. We’re all pretty keen to get into it,” Harvey said. The top eight qualifiers were separated by just over a second in the single-lap qualification sprint, setting the stage for a close battle at Mount Panorama. Joining Harvey, 23, in the top eight were Adrian Yalpi (22), Andrew Dyson (29), Jarrod Lamprey (22), Matthew Gater (22), Jonathon Burrows (32), Matthew Bink (21) and Matthew Collins (21). The challenge now moves to the Supercheap Auto Bathurst 1000 where Forza Motorsport 7, to be released on October 3, will be used. Action will kick-off with an endurance style ‘all-star’ race on Wednesday, October 4, when a current Supercars star will be paired with each gamer. Nine sprint races will then be held for the gamers across Thursday, Friday and Saturday, from which the pointscore will set the grid for the night grand final on Saturday night. Wednesday's all-star race and Saturday's final will be broadcast live and free from 7.30pm AEDT on the respective nights across Supercars.com and Supercars' social media channels.